Not everyone has access to an indoor court, and many people spend much of their time balling outside. Unfortunately, the genuine leather balls that are often used indoors are not appropriate on the harder surfaces people often play on outside. They become prone to wear and tear, and lose quality. 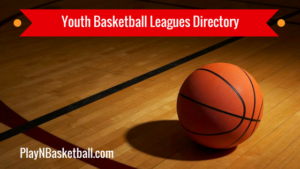 This review will help you to find the best basketball for outdoor hoops this 2019 season by listing some of your better options, as well as what to look for in an outdoor basketball. How can I ensure my outdoor basketball to last as long as possible? Molten X-Series Indoor/Outdoor Basketball Review: This FIBA Approved indoor/outdoor ball is one of the best you will find for outdoor use. The synthetic cover closely resembles leather, and provides a great grip and feel to allow you to maximize your dribbling potential, and nail a higher percentage of your shots. The signature 12 panel design not only looks good, but also provides deep grooves for your fingers to rest in while you make it rain with 3-pointers. It bounces much like a regular indoor basketball, comes in relatively cheap, and should last you a long time. Overall, with no major flaws, this might just be the best basketball for outdoor hoops this 2019 season. Spalding NBA Zi/O Indoor/Outdoor Basketball Review: Spalding makes some great basketballs, and this is one of the best of them. The Zi/O Indoor/Outdoor basketball is made out of a composite leather material, which resembles genuine leather extremely closely. This feels just like an indoor ball, allowing you to practice outdoors in a way that will closely mimic your indoor competition. This ball feels so much like genuine leather that you will be hesitant to use it outside, but its durability is not a problem. Coming in at the official NBA ball weight, this ball provides all the benefits of an indoor basketball, without losing out on durability when used in an outdoor setting. Under Armour 495 Indoor/Outdoor Basketball Review: Under Armourhave showed why they’ve rapidly become one of the best basketball apparel brands in the world with this ball. The 495 Basketball is covered in a special UA Gripskin composite material, which feels just like an indoor ball in your hands. The deep channel design and full ball pebbling also contribute to the great grip and feel of the ball, and your handles will resemble those of Kyrie Irving when you work out with this ball. On first use, the ball does feel a little bit heavy, but as with genuine leather balls it simply takes a little bit of time to break in. Once you do so, it’s well worth it, and you’ll get an extended period of use out of this ball, which is maybe the most durable outdoor basketball on the market. Overall this is a terrific ball, and is one of the best options you have. Spalding NBA Street Basketball Review: This is an outdoor basketball in the truest sense. Rather than being manufactured out of a composite leather material like many of the other balls in this list, this ball is made out of an extremely durable, performance rubber cover. Invariably, this means there is a little loss in the quality of the feel of the ball. It won’t rest in your fingertips like a genuine leather ball will, which may bother some users, but it more than compensates for that with it’s other features. The rubber cover will handle rough, outdoor games on any surface, without any reduction in quality. The official NBA logo is also plastered on the ball, giving it a great look for when you turn up to your local court for a game of pick-up. This is the best Spalding NBA street basketball you’ll find, and you won’t be disappointed with it. Wilson NCAA Replica Game Basketball Review: As the name indicates, this ball very closely resembles the basketball used in official NCAA games. Of course, being suitable for both indoor and outdoor use, it is made of a composite leather rather than genuine leather, but you’ll hardly even notice. The Cushion Core Technology used by Wilson make it feel just like the real thing, while the patented laid-in channels make it extremely easy to grip and show off the best of your handles. This ball feels perhaps as good as any ball on this list in your hands, and you’ll feel as though you’re playing with an indoor ball on an outdoor surface. One of the most popular outdoor balls on the market, Wilson have come through with the goods with this product. Mikasa BX1000 Premium Rubber Basketball Review: The one redeeming feature of this ball is that it is very cheap, but it should be. The quality is very low; the grooves feel uneven, making it difficult to get any consistency to your shots or handles. The ball struggles to retain air, and the pump needle which comes with it doesn’t function particularly well. The pebbling on the outside of the basketball tends to wear away after a relatively short amount of use, meaning you’ll struggle even more to grip the ball. There are a bunch of problems associated with this ball, which make it difficult to justify purchasing. You’re not going to break the bank buying this, but there are some similarly cheap balls that perform far better, making this arguably the worst basketball for outdoor hoops this 2019 season. Spalding NBA HexaGrip Soft Grip NeverFlat Basketball Review: There are simply too many problems associated with this ball to justify buying it. As the name suggests, the focus of this ball is air retention, which unfortunately means many of the more important features of a ball are overlooked. It has a wide channel design, which makes it feel a little different to many other balls, and would be considered uncomfortable by some users. It also has some inconsistencies in how it bounces, with many ballers complaining that it acted more like a tennis ball than a basketball. It also feels a lot more like rubber than leather, and if you’re going to go down the path of a rubber ball there are plenty of better options. Overall, this is simply not up there with the best of the options, so avoid this basketball for outdoor hoops. The kind of outdoor basketball you buy can dictate the quality of both your outdoor practice, and your street games, so it’s vital to ensure that you get a good one. A number of things can impact whether you’re happy with your purchase, and this list of the three most important factors to consider prior to buying will make sure that you are. Material: As you would have noticed in the list of the top outdoor basketballs above, there are two very different kinds of materials used in the manufacturing of these balls. The first of these is composite leather, which is essentially a material that intends to retain the feel of a leather ball, while being able to withstand the stress of being used on hard, outdoor surfaces. These can vary a lot in quality, but the best of them can feel a lot like a leather ball. Sometimes, however, they lose out in durability, and can diminish in quality after a few uses. Rubber balls, in contrast, are more specifically created for outdoor use. They are made to deal with the most abrasive of surfaces, but a result of this is that they generally lose a lot in feel, and they don’t resemble the kind of balls used for indoor competitions particularly closely. They do generally come in a lot cheaper though, meaning there are pros and cons to each type of ball. Durability: For outdoor basketballs, this is particularly important. You will be using them on all sorts of surfaces, and this can have a significant impact on the ball if they aren’t of a high quality. Often, this is a problem with lower quality composite leather basketballs, which, while advertized as outdoor balls, tend to lose their grip and the consistency of their bounce very quickly when they are used on abrasive surfaces. Often, this is the case with cheaper balls, and while it can be tempting to go for the balls that aren’t going to break your bank, it might not be worth it if you’re going to need a new ball after just a couple of months. Price: The difference between the cheapest outdoor basketball on the market and the most expensive is pretty vast. For a low quality, rubber outdoor ball, you might not have to pay more than around USD$10. These balls, however, probably won’t last you too long, and are best reserved for very casual ballers or younger children. In contrast, if you want to go for the best of the best you’ll probably be looking at in excess of USD$100. The amount of money people have in their budget for an outdoor basketball is going to vary significantly from person to person, and what is the most suitable option for you will be very different from others. Make sure you know what your range is, and look for the best option within that range. Take care of it! Inevitably, outdoor basketballs are more prone to losing quality quickly given the situations in which they are used. Of course, if you avoid using it on any abrasive surfaces this will help, but there’s no point buying an outdoor basketball if you can’t use it in outdoor situations. Instead, the best way to ensure it lasts as long as possible is to look after it when it’s not in use. It can be tempting if, for example, you have a hoop in your backyard, to simply let the ball roll away and leave it outside after use. This exposes it to sun, wind and rain, and will invariably impact its longevity. Instead, store it in a place where it will be safe from the weather, and you’ll probably get significantly more good use out of your purchase. Outdoor hoops is at times a whole different ball game to indoor hoops, and as a result the kind of ball you need for each is not the same. Balls used for outdoor hoops are generally either made of rubber or composite leather, but there are a whole lot of options on the market, and it can be difficult to settle on a final choice. 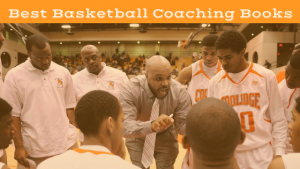 This article has provided useful information on just what to look for in an outdoor basketball that’ll take your game to the next level.